Indians Baseball Cards: #PackADailyCircus - Our First Free Agent Draft! One thing we need to decide is what to do with multi-player sticker cards, like the Archives in the post above. I can handle it as a normal multi-player (randomly give to one of the named managers) or I can cut the stickers apart, since each could technically be its own thing. In this case, I'll let StealingHome, NachoGrandes, and ProwlingCat duke it out. Majority vote wins (StealingHome, you only get ONE vote even though you got two featured players). You can either leave a comment here or shoot me a private email. Next up, we have a DRAFT to take part in! Our first card-based free agent draft of the season! Managers, be sure to check your email for information! Tonight's cards are *NOT* part of the draft. Sorry, my brain wasn't operating on all cylinders when I was putting things together for tonight. I've decided that there will be one (1) free agent draft round for every ten (10) free agents because we have so many managers. This may change as we build up our free agent pool. As it sits right now, though, we have about 34 free agents and 44 managers. Folks will get shut out. Sorry. Who gets shut out? As we did last season, random.org will decide the pecking order. I just discovered that Workman and NachoGrandes BOTH have Paul Goldschmidt on their team! D'oh!! I will have to fix that somehow before we pull one of his cards. I think each guy should get his players, rather than random it off and have two of us lose out. 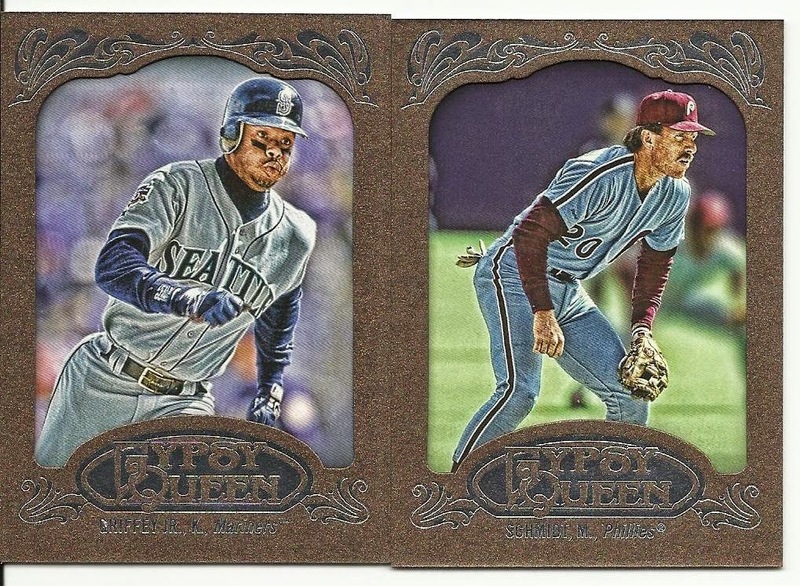 Each of those is very cool on it's own and I don't wanna take a Trout or Griffey from someone who collects him. I'm alright with letting Commissioner David judiciously cut it amongst us.